When will be Baseball Tonight next episode air date? Is Baseball Tonight renewed or cancelled? Where to countdown Baseball Tonight air dates? Is Baseball Tonight worth watching? 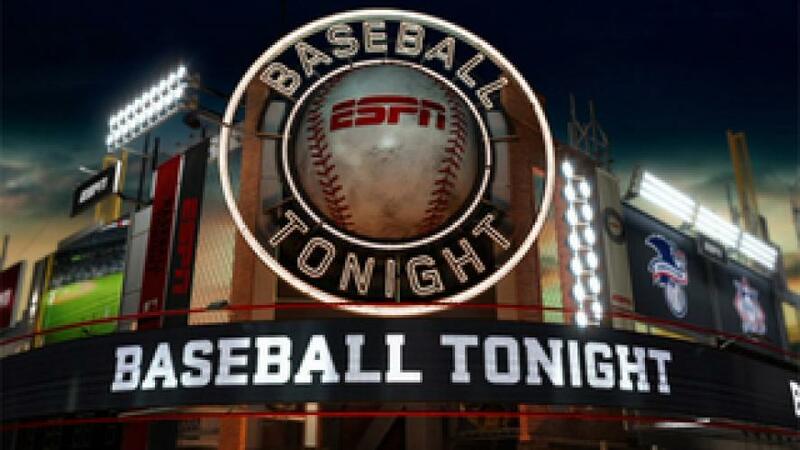 Baseball Tonight airs nightly throughout the baseball season, giving game highlights, expert analysis, and commentary on the day's events in Major League Baseball. Featured segments include Out of the Box, Web Gems, and Touch 'Em All. Baseball Tonight next episode air date provides TVMaze for you. EpisoDate.com is your TV show guide to Countdown Baseball Tonight Episode Air Dates and to stay in touch with Baseball Tonight next episode Air Date and your others favorite TV Shows. Add the shows you like to a "Watchlist" and let the site take it from there.